Over the 1st Weekend of August, Cool Springs Primitive Baptist Church enjoyed her annual meeting. The meeting was – to all accounts – particularly blessed from on high. During the course of our meeting, we enjoyed the fellowship and visitation of many kindred in Christ from sister churches both locally and in other states. We sincerely thank all of our friends that visited with us, and most of all, we thank the Almighty for sending the Holy Ghost from heaven to dwell with us, comfort us, and make the services a time of spiritual refreshing. The church began the meeting on Wednesday night (August 1st) with communion, and it was a particularly touching and moving service. It was observed by our visiting ministers that they enjoyed starting the meeting with communion rather than ending with it. Beginning with communion can help put our souls in frame for the remainder of the meeting to come, and it was certainly the case this time. We were blessed to have Elder Joe Holder from Riverside, CA and Elder Luke Laird from Moundville, AL to be with us to do the preaching. Below is the order of services beginning on Thursday night. Preaching: Elder Joe Holder – "3 Things we use to overcome in Revelation 12." The message today is not a defeatist story but a victory from which we should daily draw strength. In so doing, we can overcome the dragon and show forth the praises of Him who has called us. Preaching: Elder Luke Laird – "Blood of Christ and Repentance." Being stirred by the blood of Christ (one of the things that helps us overcome) we should move from there to the subject of repentance. When considering the ultimate glory in Christ's blood, repentance is the next logical step that must occur. Preaching: Elder Luke Laird – "Who Maketh Thee to Differ" (I Corinthians 4:7). What is it about us that makes us differ and who made us that way? The answer was simply preached as God that makes us different and election as the agent. 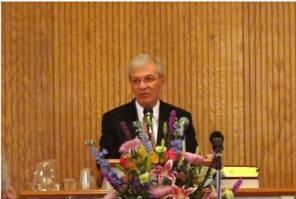 Preaching: Elder Joe Holder – "2 Natures Living Together" (Isaiah 11). When looking at our constitution, we have both the wolf and the lamb living together. The goal in our lives should be to build up the lamb of our spiritual nature and put down the wolf of our carnal nature. Preaching: Elder Joe Holder – "2 Sparrows for Cleansing" (Leviticus 14). In the ceremony for the cleansing of the leper, two birds (sparrows) are used. While the leper is already healed, this ceremony shows how he is cleansed to enjoy fellowship. God shows us through this picture of the boundless grace and mercy of His Son Jesus Christ and how we should react in regards to our own "leprosy" problem. 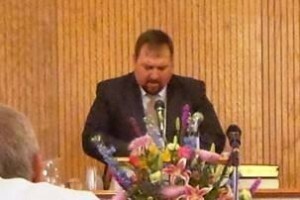 Preaching: Elder Luke Laird – "How Does He Make Thee to Differ" (I Corinthians 4:7). After showing that God makes us different through election, we see how God does it in this time world through the new birth. Our nature once wholly darkness is now made a partaker of the Divine Nature from the Father of lights. Preaching: Elder Joe Holder – "The Suffering and Exalted Messiah" (Isaiah 52 &53). Considering the prophecies of Christ from the Old Testament, many scholars were confused as to why the Messiah was crowned in some and suffering in others. In the life of Jesus, this conflict of thought is resolved as He is crowned but did indeed suffer as well. Preaching: Elder Luke Laird – "What we should do with being different." Knowing that God has made us different and quickened us by His Spirit, how should our lives reflect that? What kinds of traits should be exhibited and what kinds of traits should be put down? Preaching: Joe Holder – "Touched and Helping Messiah" (Hebrews 4:15-16). Not only has our Lord Jesus Christ saved us, but He helps us daily and is touched with our problems and weaknesses. Not only does He give eternal life, but He helps with daily strength as well. We at Cool Springs feel supremely blessed and very thankful to our dear Lord for blessing us in such a powerful way. May we go in the strength of this meat for many days, and may the fond remembrances of this meeting strengthen our zeal of service. Again, our many thanks to those that visited with us.